I have been working out in the garden a lot lately. All of the digging and planting has not been kind to my hands. I looked down at them the other day when I was spreading some landscaping rocks and noticed how bad they were. I know! I know! I should be wearing gloves. I get busy tending to the garden and chickens and just forget to put them on. 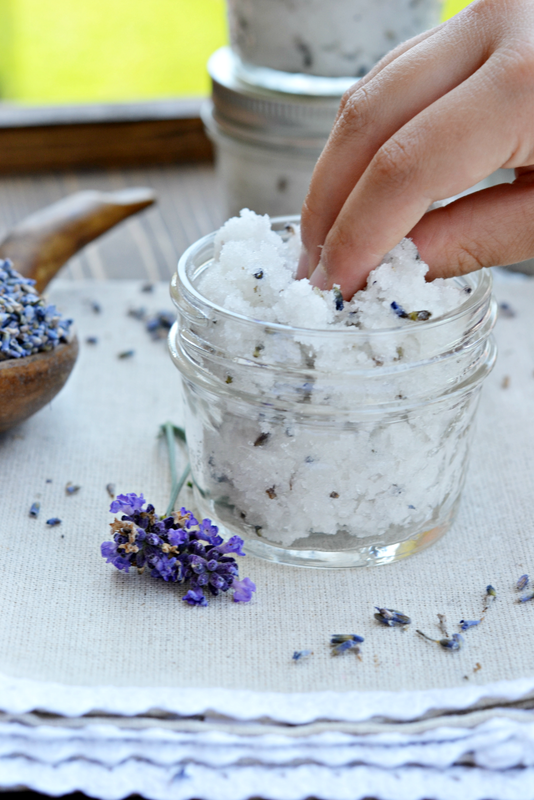 Homemade scrubs are a great way to soothe and heal hard-working hands. Maybe you don't garden, but as a busy mom, I bet there are other things you're doing that take a toll on your skin. This scrub is an excellent way to help your hands and pamper yourself a bit. It's so relaxing to use, and you won't believe how soft and smooth your skin feels after using it. 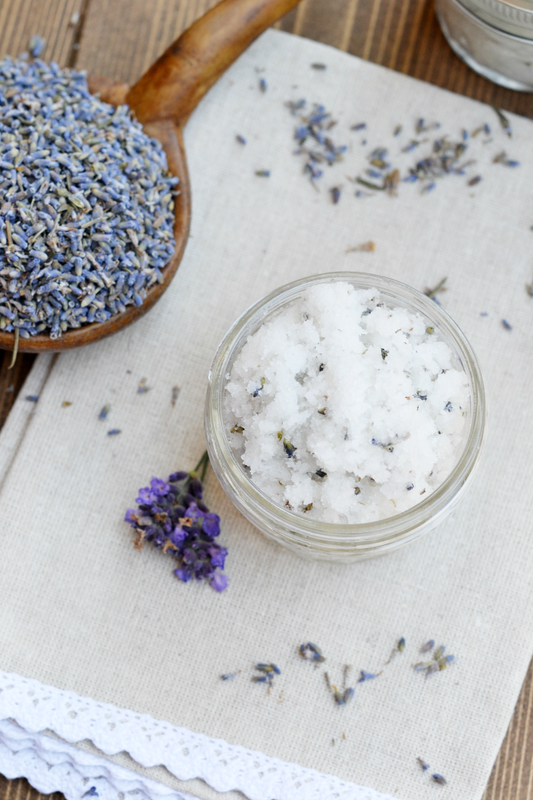 Sugar scrubs can be made with any scent you prefer, but we're BIG fans of lavender here. 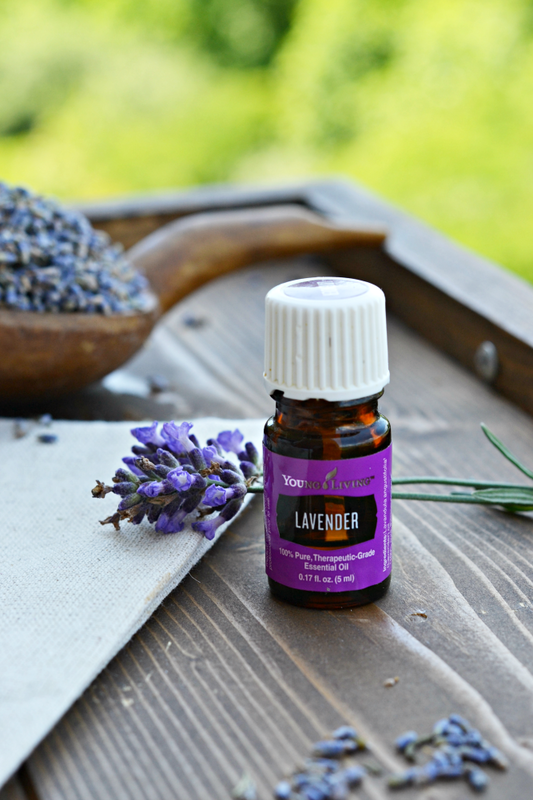 Lavender is great for skin care, circulation, and relaxation--just to name a few of the health benefits. And the kids and I love the calming scent. 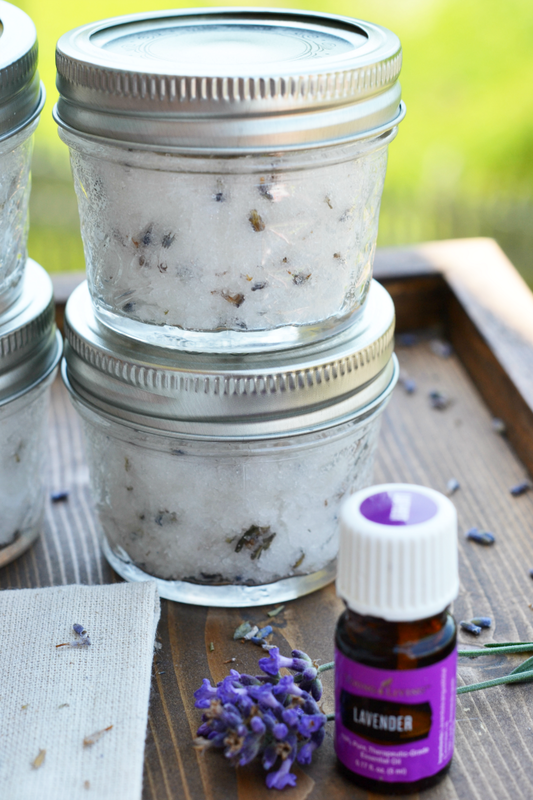 Ready to mix up a batch of lavender sugar scrub? Go ahead! Keep reading! You deserve a little pampering! Blend together the coconut oil and sugar with a mixer. A little less sugar can be used, if preferred. I like using the full two cups because I've found after the scrub is fully prepared, the sugar still dissolves a bit more. Once the sugar and coconut oil are combined, add the drops of essential oil and mix again. Gently fold in the dried lavender. Spoon the scrub into air-tight containers. Set the containers out to use or gift to others. Wet your hands. Scoop out a small amount of the scrub. Rub it all over your hands. Rinse and pat dry. The scrub is great to use for other areas prone to dryness like elbows, knees, and feet. Using it is like having a spa day in your own home. My kids love trying it, too! They beg to wash their hands just so they can use some. Sugar scrub for the win! Store your scrub in air-tight containers. I like using mason jars. It will keep about one month from the date you make it. Oh, and it's important to have clean hands when preparing and putting the scrub into containers to prevent the spread of bacteria. 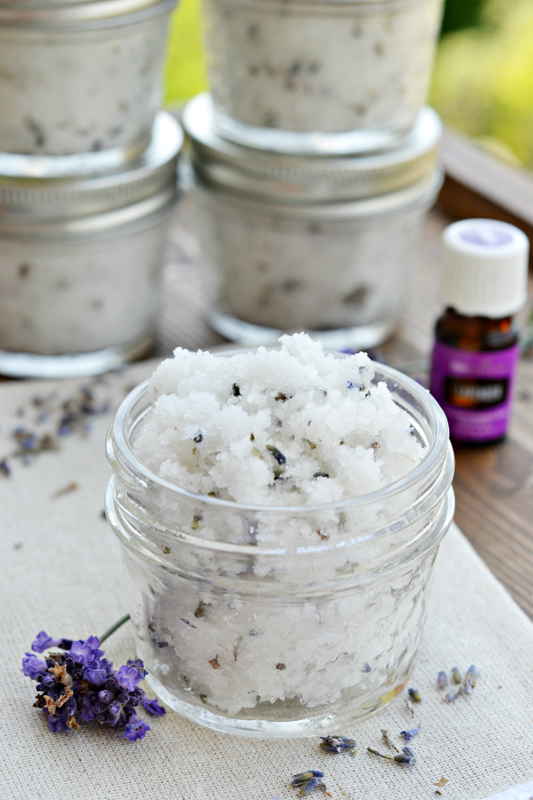 Enjoy the relaxing smell of lavender and the soft, smooth skin that comes from using this scrub. It makes a great gift item, too. Just add some twine and a label and you have a sweet smelling, homemade gift. Don't forget to keep a batch near the sink for yourself, though. I may even keep some near my potting bench outside to use after I've been working out in the garden. Do you love lavender as much as I do? 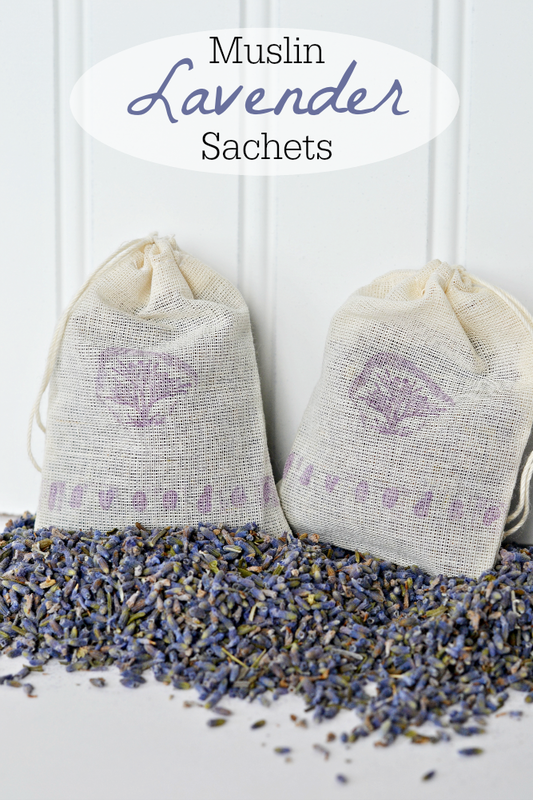 You might also enjoy these DIY Lavender Sachets! 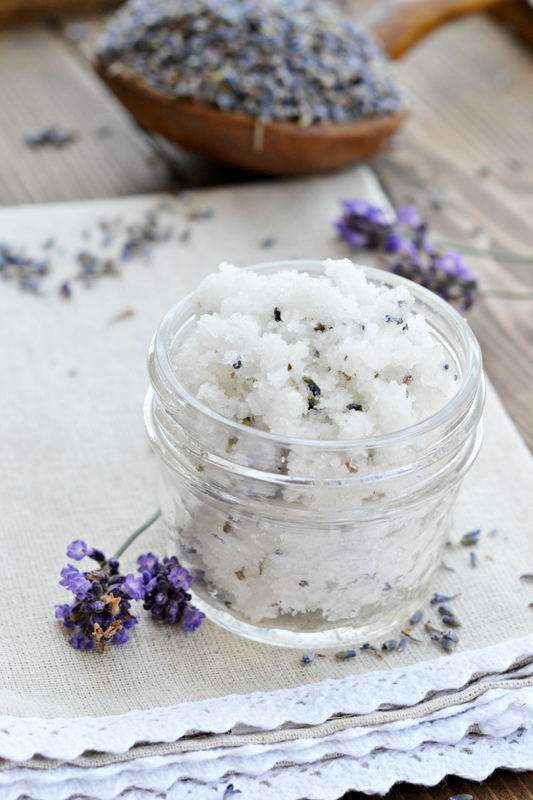 Have you ever tried making your own sugar scrub? What kind did you make? As a busy mom, what do you do to pamper yourself from time to time? I'd love to hear about it in the comments below. *Disclaimer: Affiliate links are present to help you find the perfect products for making your own batch of sugar scrub. 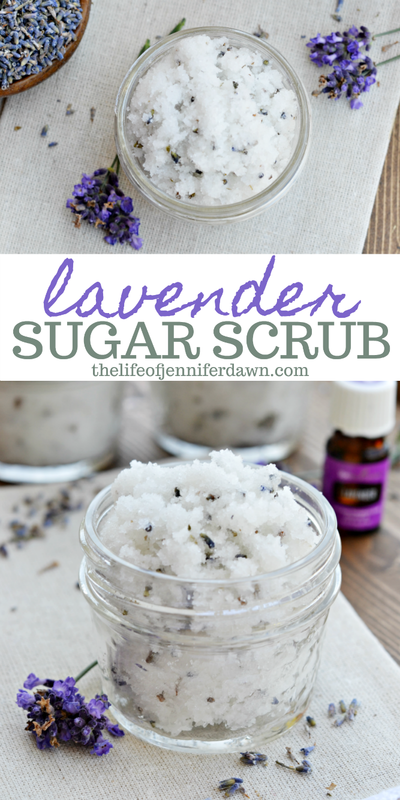 I love lavender scrubs and this looks amazing. Thanks for sharing it at Over The Moon party. I hope you stop by this week since you are my featured pick for this week. Looks fabulous. I'm going to make this scrub instead of buying so expensive ones. Also, I'll know the ingredients are safe. Just made a dozen jars as Christmas gifts for all the ladies in my family. I just tried it on my own hands and it's absolutely lovely. They are going to love this, thanks for sharing. how many little mason jars does the recipe fill? It really depends on how many ounces your jars hold. We were able to make around 6-7 with the jars we used. Do you need to sterilize the mason jars? Great question! I usually run them through the dishwasher or wash them with warm soapy water and let them air dry before putting the sugar scrub in them. My scrub turned out too greasy. Any suggestions? I'm not sure where you live, but I could see that being a problem in humid conditions. A simple solution is to use more sugar. Also, make sure your coconut oil is in its solid form when you whip it up with the sugar. You do not want it softened to a liquid. So you don't heat the Coconut oil when making? What if you used Olive oil? Thanks! No, you do not heat the coconut oil. I don't typically use olive oil in my scrubs. I find it makes them too greasy.